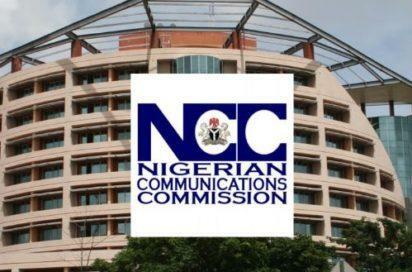 abuja—THE Nigerian Communications Commission (NCC), yesterday said MTN Nigeria had paid N165 billion out of total of N330 billion fine slammed on it in 2015 for SIM registration breaches. Executive Vice Chairman of the Commission, Professor Umar Garba Danbatta, made this know when a delegation of MTN Group led by its Nigerian Chairman, Dr. Pascal Dozie paid a courtesy visit to the commission headquarters in Abuja. Danbatta said MTN had paid more than 50 per cent of the whole fine with the latest payment of N55 billion in March and noted that the payment made in installments was in line with the terms of agreement reached between MTN and the regulatory body. “So far MTN has paid more than 50% of the fine and that will translate to N165 billion. Yes it’s a whopping sum of money and they have not defaulted yet, and this payment they are making follows the terms of agreement we reached with them,” he said. Replying, Chairman of MTN Nigeria, Dr. Pascal Dozie urged the NCC to auction more spectrums to further open up the ICT space and improve the country’s economy. The post N330bn Fine: MTN has paid 165bn — NCC appeared first on Vanguard News.